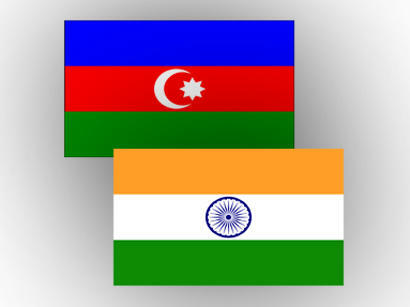 India, which hosted the founding summit of the International Solar Alliance (ISA) in March 2018, invited Azerbaijan to join the Alliance as a partner country. Although Azerbaijan is not located between the two tropics, it enjoys a large amount of sunlight. This was stated at the meeting of Indian Ambassador to Azerbaijan Sanjay Rana with Energy Minister Parviz Shahbazov. The idea of creating an International Solar Alliance was presented in the end of 2015 at the Paris climate conference, which ended with a new global agreement to combat global warming. The Alliance united more than 120 countries located along the equator. Its purpose is the joint development of solar energy, combining financial and technological efforts in this area. The meeting was held to discuss issues of cooperation in the fields of energy and renewable energy. The Ambassador noted that India was satisfied with the participation of the Indian oil company ONGC Videsh Ltd. in production sharing for the block of “Azeri-Chirag-Guneshli”, and that Indian companies are interested in participation in upstream and downstream projects in the energy and petrochemical industries. Shahbazov invited Indian companies to participate in projects for renewable energy, in particular to invest in production of wind and solar energy in Azerbaijan, and added that the Azerbaijani government had prepared a new procedure to facilitate the participation of local and foreign investors in this field. The energy rich country generates power through hydroelectric, wind and solar power plants, as well as biogas installations. Currently, the capacity of Azerbaijan’s electricity system exceeds 12,000 megawatt. The total potential of renewable energy sources exceeds 25,300 megawatt. A major part of the country’s capacity in this area accounts for solar energy, while its potential is estimated at 5,000 megawatts. Two new solar power plants are planned to be commissioned in Azerbaijan in the near future, Nizami Asgarov, chief technologist of Azerbaijan’s Azguntex company, told Trend earlier. Presently, solar power plants in Azerbaijan operate in the cities of Gobustan and Samukh, the Baku settlements of Pirallahi and Surakhani, he noted. Today, the country is able to fully meet its own energy needs, and seeks to supply power to the European market. Azerbaijan was able to build a strong power system in less than 20 years, conducting reconstruction and renovation of old generating capacities and creating new ones.